No-frills, no-fuss—just delicious meals you can whip up in no time. 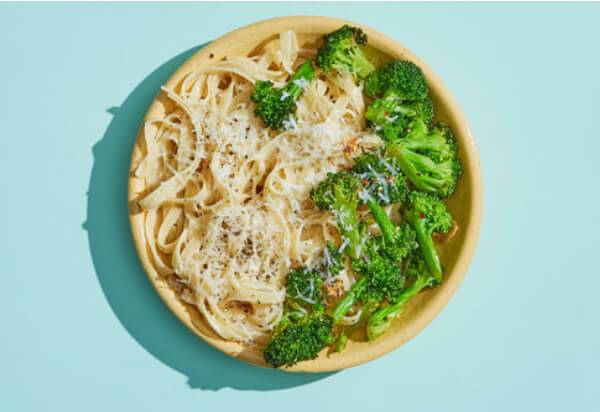 That’s the recipe behind Dinnerly, a meal kit company for people who want to make easy-to-prepare meals at home without sacrificing high-quality ingredients. Dinnerly doesn’t have quite the selection as many competitors—there are only 6 menu options per week—but it’s priced at only $5 per portion, about half the cost of your average meal kit company. There are tons of companies that are putting their imprint on the meal kit industry by focusing on aspirational, even exotic recipes that can make anybody feel like a foodie. What Dinnerly does is a bit different. The company provides recipes for interesting and delicious meals, but isn’t designed so much for the foodie as for the working parent or busy roommates who want to cook more at home without too much hassle. Many of these people may be turned off by meal kit services because of the price,which tends to hover around $10 per serving. With shipping, this can get pretty steep. Dinnerly has a price point—$5 per serving—that is uniquely affordable and truly sets it apart from the pack. The recipes are also designed with only 6 ingredients, and are meant to take only about 30 minutes to prepare. Dinnerly offers tasty recipes crafted with care, that are meant to appeal to the masses looking to make more great food at home. Signing up for Dinnerly is easy, you simply fill out your details online and you should be on your way in no time. 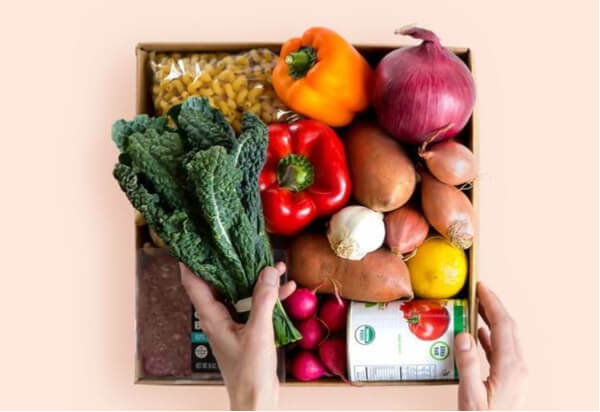 Dinnerly is a subscription service and you can sign up for either a 2-person box with meals for 2 people, 3 times a week, or the family box which serves 4 people, 3 times a week. With the 2-person plan you pay $5 per portion plus $8.99 for shipping, for a grand total of $38.99 per week. With the family box you pay $5 per portion plus $8.99 shipping, for a total of $68.99 per week. You’ll get to pick your recipes each week from a total of 6 options. The company does not currently offer breakfasts, lunches, or desserts. Also, there are vegetarian options offered, but not every week. The ingredients will arrive in insulated boxes with ice packs to keep things fresh. You can always take a week off if you’d like, and freeze your account if need be. The recipes are printed on the box and are very easy to follow. You can also find instructions online if you need. One thing to keep in mind though—delivery is not available everywhere in the US. Dinnerly currently ships to most of CA, WA, OR, NV, UT, ID, TX, IL, IA, WI, GA, CO, OK, LA, AR, IN, KY, TN, NC, VA, NY, MD, CT, NJ, MA, RI, PN, DC, and FL. Dinnerly customer service representatives are available by phone or email if you have any further questions, and the company also runs an extensive knowledge base on its website. Every week, Dinnerly offers customers 6 different recipes to choose from. And while that’s less than what some competitors offer, you can still get a lot of mileage out of these options. Probably the main selling point of Dinnerly is the per serving price—$5—which is about half what most companies charge. That said, you will still have to pay for shipping, which cuts down the savings a bit. Customers have a number of convenient ways to contact Dinnerly’s customer service. You can reach out by way of the toll free number or send an email. There is also an online form where you can fill out a message and receive an answer from a company representative. In addition, the company’s website includes a very extensive knowledge base and FAQ section where you find answers to most of your questions. 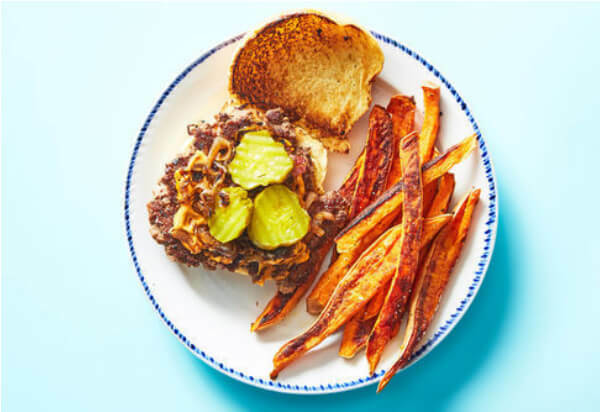 Dinnerly is looking to appeal to a wider base of customers through offering meals that are more affordable than virtually any other company in the meal kit industry. Not only are the meals affordable, they are also easy to make and have only 6 ingredients or less. 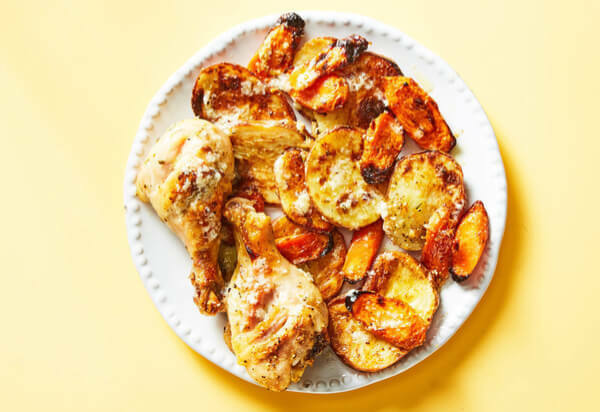 If you’re looking for an affordable meal kit service that is tailor-made for busy parents and working folks who are full of the desire to cook but short on time and inspiration, you should definitely take a look at Dinnerly.